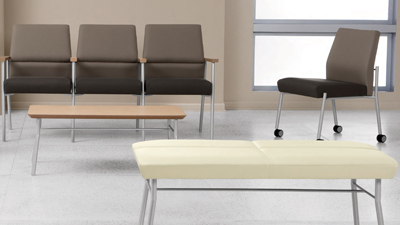 IDEON is meeting the growing demand for custom, build-to-order seating. 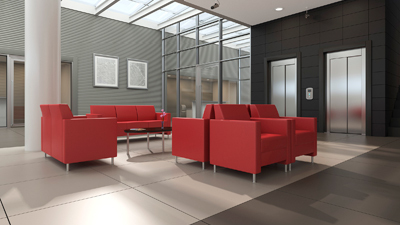 They perfectly design our chairs for comfort, quality and value – a dedication that has propelled us to market leader in seating solutions for business, healthcare, government and education. In our short 15-year history, we’ve built a reputation for fast delivery of custom chairs. 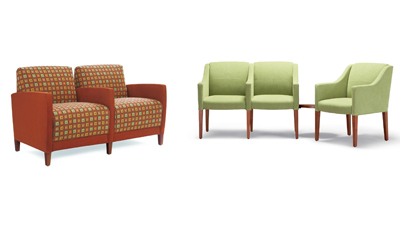 Our 10-day turnaround for IDEON seating is the industry’s fastest and sets the standard for designer chairs customized to your exact specifications. Trinity Furniture is committed to incorporating environmental sustainability in all business practices and manufacturing processes. 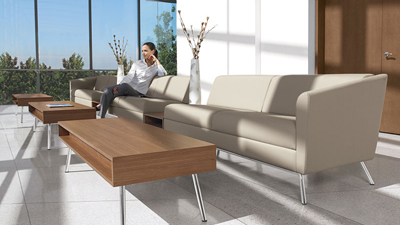 They feel it is important to provide well-designed furniture in the most environmentally responsible way possible. Trinity Furniture continues to strive for better ways to reduce our environmental footprint through achieving initiatives in FSC and BIFMA Level Certified 3E Program. Global Contract was established to bring the philosophy of value and quality to the end user and specifier communities. Global Contract provides effective business solutions in a fully integrated line of systems furniture, wood casegoods, laminate desking, seating and filing. Our approach is to focus on customer requirements; to develop products that minimize the costs of ownership; and promote customer satisfaction. 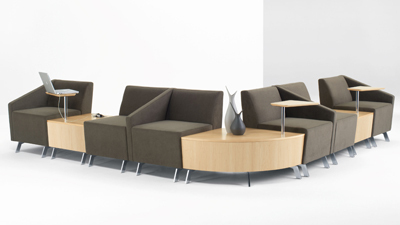 Lesro is well-positioned as an excellent contract alternative supplier for contract office furniture dealers seeking solutions in conference and reception areas. Lesro is branching out into new market segments at a time when North American businesses are seeking furniture that is well-made, environmentally sustainable, thoughtfully and beautifully designed and, perhaps most critical of all, comfortably within even the tightest budget. © 2019 Office Space Design. All Rights Reserved.